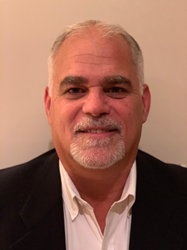 SQUAN is all about building the network and adding an industry expert such as Jeff will greatly benefit our company’s ability to continue to grow our fiber splicing and construction services division under his supervision. SQUAN combines its unique and in-depth knowledge of network engineering and fiber construction to solve complex and evolving telecommunications problems around macro networks, small-cell, DAS, 5G, IoT and smart cities for wireless, wireline and enterprise customers. SQUAN is focused on the evolution of communications networks of all types and how new technologies are changing the landscape of infrastructure. SQUAN provides design/build and advisory services for backhaul, small-cells, C-RAN, fiber, Right-of-Way, technical installs and maintenance. For more information visit: http://www.squan.com, or contact SQUAN’s Head of Strategy, Keith Pennachio at kpennachio@squan.com.